Our Executive Suites combine elegance and privacy for your personal haven. Unwind in the well appointed private king size master bedroom with spacious closet and HDTV. 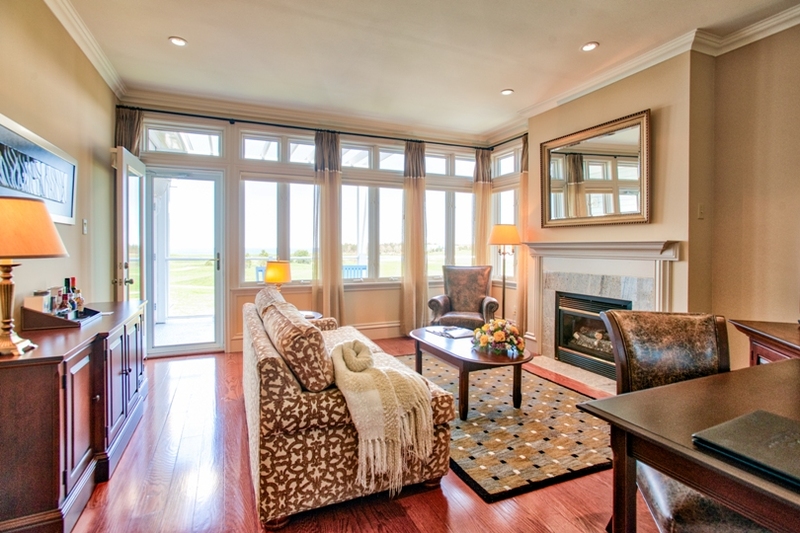 Enjoy the large adjoining living room, with fireplace, luxury furnishings, working desk, and HDTV. The Executive Suites also feature a microwave oven, wet bar, and in-room refreshment center. Enjoy an expansive bathroom, with two person therapeutic tub, walk in shower, double vanity and heated granite floors that will complete your pampering experience. Great getaways begin at Fox Harb’r and your perfect vacation is just a click away. To book your Executive Suite, please call Resort Reservations at 1.866.257.1801 or book online today.